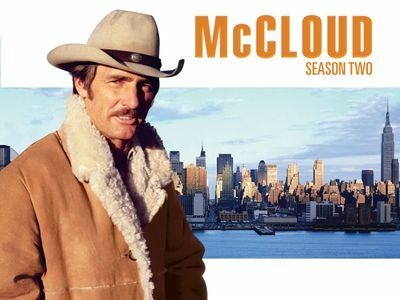 Here's where to watch every episode of McCloud season 2. Mouseover or tap an episode to see where to stream it. Click or tap the play icon to stream it on the best available service. Encounter with Aries Sep 22, 1971 The wife of an astrologer and widely-syndicated newspaper columnist is kidnapped in broad daylight. Top of the World, Ma! Nov 3, 1971 A football player from Ohio who needs an operation goes to find the New York mobster who owes him money. Somebody's Out to Get Jennie Nov 24, 1971 An industrial engineer is thought to have been died in an air crash, and his secretary is driven into a mental hospital. The Disposal Man Dec 29, 1971 A nabob is menaced by a professional killer with an unknown employer. A Little Plot at Tranquil Valley Jan 12, 1972 Stolen penicillin is diluted and sent south of the border by the director of a famous cemetery. Fifth Man in a String Quartet Feb 2, 1972 A musician is framed for the killing of his teacher, a violinist whose long-lost brother was in the mob. Give My Regrets to Broadway Feb 23, 1972 A Broadway producer is implicated in the murder of a detective investigating his business practices.